The UK company previously established a joint venture with SundaGas in 2016 to find new opportunities in southeast Asia. 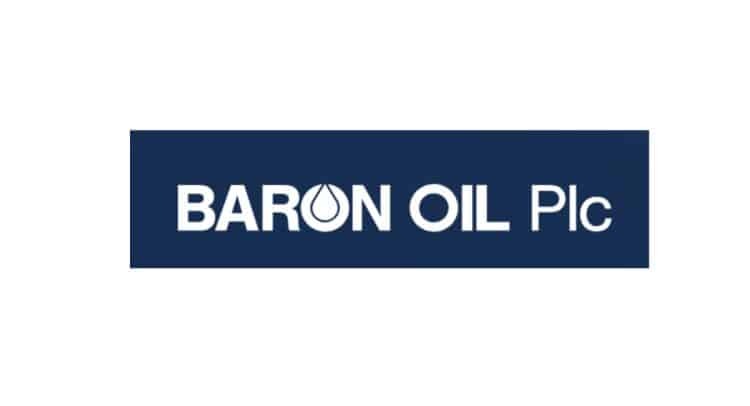 Baron Oil said on Wednesday that it had started discussions with SundaGas regarding an established PSC located near producing fields. The company added that rapid progress could be made if current talks were successful. Baron also stated that a separate SE Asia block application made by SundaGas in 2016 was still live and that previous delays on a decision to award the block might be coming to an end. If the block is awarded to SundaGas, Baron will have the right to request assignment of a 25 percent interest. Although the company did not disclose which PSC it was referring to, it is worth noting that SundaGas owns only one PSC. Namely, the Singapore firm owns the Telen PSC in the Mahakam oil and gas production region, offshore Kalimantan, Indonesia, which SundaGas bought from Total in March 2018. It now fully owns and operates Telen through its affiliate SundaGas Indonesia Telen B.V. The Telen PSC is approximately 468 square kilometers across two-part blocks named Hiu Marah and Area II. Hiu Marah lies adjacent to the Hiu Aman discovery and approximately 20 km from the West Seno producing field and pipeline infrastructure that takes gas to the Bontang LNG export facility. It contains a low-risk Hiu Marah gas and oil prospect for which SundaGas is evaluating 3D seismic to identify optimal locations for drilling. Area II lies in an ultra-deepwater area with very limited seismic data and few nearby wells. The company’s in-house studies reveal this area to be mature for the generation of significant volumes of oil. 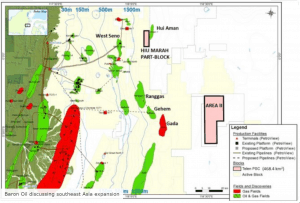 SundaGas plans to acquire seismic data over Area II to further de-risk an oil play in this area and to locate future sites for potential drilling. Discussions are currently progressing with Indonesian authorities to extend the PSC to carry out drilling and seismic activities. Baron oil also said in its statement on Wednesday that the Colter Area structures in offshore licence P1918 were being remapped to determine their extent and update the estimates of the prospective resources. Colter drilling was completed by operator Corallian in February 2019 and resulted in the Colter South discovery. Pre-drill, Corallian estimated Pmean recoverable volume of 15 mmbbls for the prospect. The current work, which is expected to be finalized towards the end of April 2019, will be used to determine the forward plan to maximize the potential value associated with the Colter and Colter South Prospects. Also, a Colter side-track indicated potential targets within the onshore licences PEDL 330/PEDL 345. Baron Oil further added in its company update that certain board changes would occur on March 31, 2019. Namely, Malcolm Butler will step away from his role as chief executive but will remain onboard as the executive chairman. Also, Andrew Yeo, who was appointed as a non-executive director of the company in April 2018, agreed to take on the executive role of managing director. Jon Ford was appointed as a non-executive director while Geoffrey Barnes, who agreed to defer his impending retirement as a finance director in February 2018, will resign from the board but will continue to be employed part-time as financial controller and company secretary.